Fat'hi ash-Shiqaqi, the head of Islamic Jihad. Fat'hi ash-Shiqaqi, a well-educated young Palestinian living in Damascus, recently boasted of his familiarity with European literature. He told an interviewer how he had read and enjoyed Shakespeare, Dostoyevsky, Chekhov, Sartre, and Eliot. He spoke of his particular passion for Sophocles' Oedipus Rex, a work he read ten times in English translation "and each time wept bitterly." Such acquaintance with world literature and such exquisite sensibility would not be of note except for two points - that Shiqaqi was, until his assassination in Malta a few weeks ago, an Islamist (or what is frequently called a "fundamentalist" Muslim) and that he headed Islamic Jihad, the arch-terrorist organization that has murdered dozens of Israelis over the last two years. Actual terrorists also tend to be science-oriented, though less accomplished. 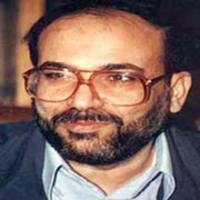 Ramzi Yusuf, the accused mastermind of the World Trade Center bombing, is an electronics engineer and explosives expert with an advanced degree from Great Britain; Nidal Ayyad was an up-and-coming chemical engineer at Allied Signal; and Eyad Ismail studied computers and engineering at Wichita State University. This same pattern holds in the Middle East: Salah 'Ali 'Uthman, one of three terrorists who attacked a bus in Jerusalem in July 1993, was a student of computer science at the University in Gaza. The most notorious anti-Zionist terrorist of recent years is Yahya Ayyash, nicknamed "The Engineer." Many Islamist Egyptians who engage in violence against the regime have science degrees. The Islamist leaders are not peasants living in the unchanging countryside but modern, thoroughly urbanized individuals, many of them university graduates. Notwithstanding all their talk about recreating the society of the Prophet Muhammad, Islamists are modern individuals at the forefront of coping with modern life. Islamists see themselves, however, not as tradition-bound but as engaged in a highly novel enterprise. According to Iran's spiritual leader, 'Ali Hoseyni Khamene'i, "The Islamic system that the imam [Khomeini] created . . . has not existed in the course of history, except at the beginning [of Islam]." Ghannushi similarly asserts that "Islam is ancient but the Islamist movement is recent." In rejecting a whole millennium, the Islamists throw out a great deal of their own societies, from the great corpus of Qur'anic scholarship to the finely worked interpretations of law. In creating this faux Christian hierarchy, Islamists invented something more Western than Islamic. In similar fashion, Islamists have turned Friday into a Sabbath, something it had not previously been. Traditionally, Friday was a day of congregating for prayer, not a day of rest. Indeed, the whole idea of the Sabbath is alien to the vehemently monotheistic spirit of Islam, which deems the notion of God needing a day of rest falsely anthropomorphic. Instead, the Qur'an instructs Muslims to "leave off business" only while praying; once finished, they should "disperse through the land and seek God's bounty"-in other words, engage in commerce. A day of rest so smacks of Jewish and Christian practice that some traditional Islamic authorities actually discouraged taking Friday off. In most places and times, Muslims did work on Fridays, interrupted only by the communal service. Perhaps the most striking Westernisms Islamists have introduced are associated with women. Islamists actually espouse an outlook more akin to Western-style feminism than anything in traditional Islam. Traditional Muslim men certainly did not take pride in the freedom and independence of their women, but Islamists do. 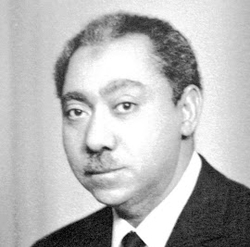 Ahmad al-Banna, the leader of Egypt's Muslim Brethren, adopts a feminist outlook that leads him to reinterpret Muslim history according to Western standards. "Muslim women have been free and independent for fifteen centuries. Why should we follow the example of Western women, so dependent on their husbands in material matters?" Revealingly, militants compare Islam not to other religions but to other ideologies. 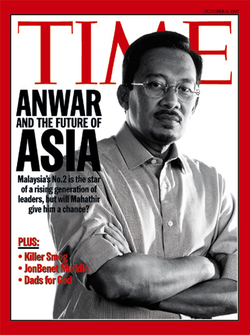 "We are not socialist, we are not capitalist, we are Islamic," says Anwar Ibrahim of Malaysia. Egypt's Muslim Brethren assert they are neither socialists nor capitalists, but "Muslims." This comparison may seem overblown - socialism and capitalism are universal, militant Islam limited to Muslims - but it is not, for the militants purvey their ideology to non-Muslims too. In one striking instance, Khomeini in January 1989 sent a letter to Mikhail Gorbachev asserting the universality of Islam. Noting the collapse of Communist ideology, he implored the Soviet president not to turn westward for a replacement but to Islam. I strongly urge that in breaking down the walls of Marxist fantasies you do not fall into the prison of the West and the Great Satan. ... I call upon you seriously to study and conduct research into Islam. ... I openly announce that the Islamic Republic of Iran, as the greatest and most powerful base of the Islamic world, can easily help fill up the ideological vacuum of your system. As interpreted by a leading Iranian official, this letter "intended to put an end to ... views that we are only speaking about the world of Islam. We are speaking for the world." It may even be the case - Khomeini only hints at this - that Islam for him had become so disembodied from faith that he foresaw a non-Muslim like Gorbachev adopting Islamic ways without becoming a Muslim. The state takeover of law invariably causes problems. In the traditional arrangement, the jurists jealously maintained their independence in interpreting the law. They insisted on God's imperatives taking absolute priority over those of the ruler. Such acts as prayer, the fast of Ramadan, or the pilgrimage to Mecca, they insisted, must never be subjected to the whims of despots. Jurists got their way, for hardly a single king or president, not even so ardent a secularist as Turkey's Kemal Atatürk, had the temerity to interfere with the Lord's commandments. But Ayatollah Khomeini did. In January 1988, he issued an edict flatly contravening this ancient Islamic assumption. In a remarkable but little-noted document, the ayatollah asserted that "the government is authorized unilaterally ... to prevent any matter, be it spiritual or material, that poses a threat to its interests." This means that, "for Islam, the requirements of government supersede every tenet, including even those of prayer, fasting, and pilgrimage to Mecca." Subordinating these acts to raison d'état has the effect of diminishing the Shari'a beyond recognition. Khomeini - a classically educated scholar, an authority on Islamic law, and an eminent religious figure - justified this edict on the grounds that the interests of the Islamic Republic were synonymous with the interests of Islam itself. But this hardly explains so radical and unprecedented a step. The real reason lies in the fact that, like countless other twentieth-century rulers, he sought control of his country's spiritual life. Khomeini may have looked medieval but he was a man of his times, deeply affected by totalitarian ideas emanating from the West. This new understanding most dramatically affects non-Muslims, whose millennium-old exclusion from the Shari'a is over; now they must live as virtual Muslims. 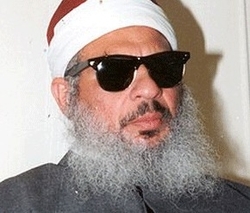 'Umar 'Abd ar-Rahman, the blind Egyptian sheikh in the American jail, is adamant on this subject: "It is very well known that no minority in any country has its own laws." 'Abd al-'Aziz ibn Baz, the Saudi religious leader, calls on non-Muslims to fast during Ramadan. In Iran, foreign women may not wear nail polish - on the grounds that it leaves them unclean for (Islamic) prayer. Entering the country, female visitors are provided with gasoline-soaked rags to clean their varnished nails. An Islamist party in Malaysia wants to regulate how much time unrelated Chinese men and women may spend alone together.